In the past, igniting fire was a hard task. A task which has one of the most important parts of our survival. Nowadays we have all kinds of ways for igniting the fire. The most common and portable choice is lighter. They are great and useful, but most of them are cheaply made. You have probably burned your fingers on them at least few times, and you probably had problems with igniting the lighter when there was a strong wind outside. But what if we tell you that there is the solution to that problem? The solution is owning a windproof lighter! 1 What is windproof lighter? 2 What makes windproof lighters outstanding compared to the conventional ones? 3 Is windproof lighter safe to use? 4 Why should even nonsmokers have a windproof lighter? 5 How many types of windproof lighters are there? 6 How do windproof lighters work? 7 How to choose windproof lighter? 8 What are the windproof lighters on the market? 9 How to refill windproof lighter? 10 How to tell when is your lighter out of fuel? 11 Why your windproof won`t light up and how to fix it? There are many different types of lighters on the market. 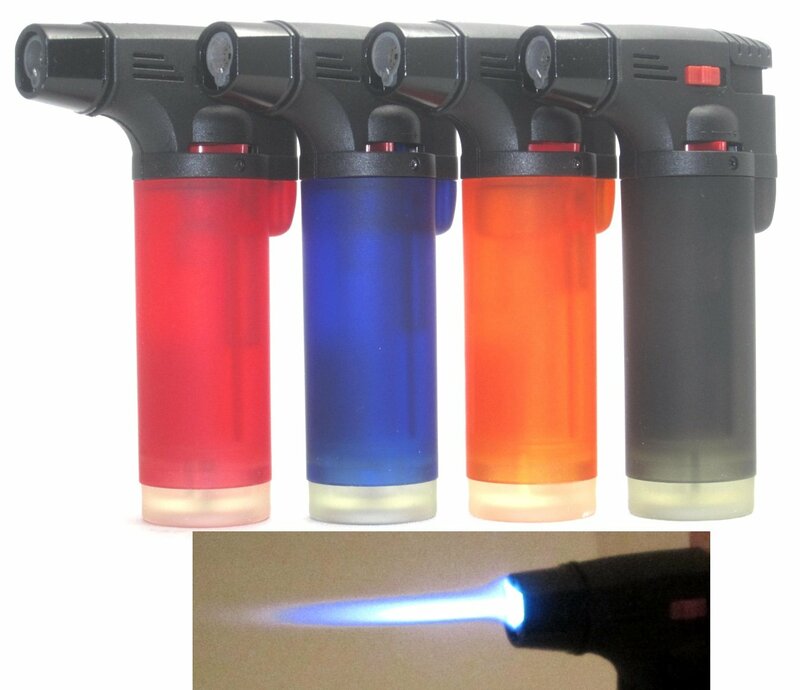 Most popular and cheapest are liquid gas lighters which you can buy in pretty much any store or gas station. Then you have luxurious ones that look beautiful but they are not windproof. And that is the point where we enter the sphere of the windproof lighter. They are modern and most efficient and reliable lighters, especially when we stay outdoors. Windproof lighter is a very specific type of lighter that is resistant to the wind. They work base on high-pressure principle to create a flame ignition which allows them to burn even in the windiest conditions. What makes windproof lighters outstanding compared to the conventional ones? So, why are windproof lighter so special? What makes them so unique and useful? Well, first, and most importantly, they are resistant to the wind. Pretty much any standard lighter will turn off or won`t even light up when its windy outside. But windproof lighter will work even in the strongest wind that you might encounter. Another great feature is that flame is always in the same shape. You won`t have „catch“ the flame when its windy outside. It will be the same shape no matter what. The flame itself is very strong and hot, which means that it will be able to ignite pretty much any material that you want to ignite. And for last, and probably the best feature, next to windproof feature, is that your windproof lighter will last you very long time without refilling. It lasts much longer than the standard lighters. You won`t have to worry about refilling it all the time. Is windproof lighter safe to use? Yes, they are safe to use. Probably even safer than the standard lighters. Standard lighters use liquid to gas as a fuel. This type of fuel is very flammable and explosive. The problem arises when you realize that the body of the conventional lighters is made out of cheap plastic, which makes them prone to damage and they easily break. But when we talk about the windproof lighters, they are just on a whole another level. Fuel tank inside windproof lighters is protected by the sturdy armor which protects the tank from any kind of damage or leakage of the fuel. There is almost no chance that you will break it unintentionally and that it will leak out the fuel on you and potentially hurt you. Why should even nonsmokers have a windproof lighter? We all know why smokers should have the windproof lighter. But why should non-smokers also have one on their person? Well, first, you never know when you will need a source of the fire. There are many situations in which having a lighter could help you. Mostly in social situations, but sometimes even in survival situations if it ever comes to that. If you are a real man, then you know that lighter is a must have item. How many times has it happened that you were asked by someone to lend them a lighter and you probably said that you don`t smoke or that you don`t have one. Having one does not mean that you smoke, it only means that you are always prepared for any situation that needs a lighter to resolve it and that’s it. If you are a backpacker, mountain climber, prepper or survivalist, then you definitely need to have a source of fire, and the best option that you can find is windproof lighter. How many types of windproof lighters are there? We now know about some benefits of owning windproof lighters. But what types of the windproof lighters are there? How do they differ from one another? There are three main types of windproof lighters on the market. First one is Electric rechargeable windproof lighter (USB rechargeable). They use electricity as the source of fuel. The way in which they work is that they produce electric sparks which are able to create an ignition of the item that you want to ignite. This is a pretty innovative way to ignite a flame or to light a cigarette or any other thing that you need to light. It is also a very unique because it does not use any kind of flammable fuel. Also, you only need an electricity to recharge them, there is no need for buying any kind of proprietary fuel. Battery lasts long and they are definitely amazing. But they do have one major flaw, you can`t light up many things with it because of its closed designed which doesn`t allow you to light up a wide variety of items. The second type of windproof lighter is windproof gas lighter. They use the pretty much same fuel as the standard lighters. But the biggest difference is the type of flame they produce and the quality of materials that are used to make them. Most of them are made out of high-quality materials. Also, they have special protection around the fuel tank so that fuel would not run out of lighter. Another benefit is that they produce very powerful and concentrated flame which can`t be disturbed by the wind at all. Only real negative is that this types of lighters burn out the fuel very fast. The third type of windproof lighter is windproof oil lighter. They are pretty much Zippo types of lighters. They use kerosine, Zippo fluid or Petrol as a source of fuel. The benefit is that they can work even in very windy conditions which make them as a great and viable option. They are also the most beautiful and classic lighters on which you will definitely get you some compliments. The negative side is that they will burn through the fuel very fast and that fuel will evaporate by itself after some time. Which means that you will need to have additional fuel with you if you planning to take it with you on a camping trip and other outdoor activities. How do windproof lighters work? So, how do windproof lighters work? Oil windproof lighters and gas windproof lighters work pretty much the same way. You need to fill them up with the fuel first. Then the material takes in the fuel in itself. Then when the combustion material is full with fuel you need to create some kind of spark that will ignite combustion material and the fuel. When materials ignite you have a flame which will continue to burn because combustion material is taking the fuel in itself all the time until the lighter is out of the fuel. When on the other hand the electric windproof lighters are whole another story. The source of energy that they use for igniting the flame is the electrical spark. Internal battery provides enough power to create a powerful electrical charge that is capable to ignite objects or items. The only thing that you need is a USB connection, and, of course, the electricity. Another great thing is that the battery will last for a very long time. All in all, it is a great choice if you need lighter for igniting cigarettes. How to choose windproof lighter? There are many things that you should consider when you are choosing the windproof lighter for yourself. First one is that you need to consider the size of the fuel tank. The bigger the tank, the better. Windproof lighters with big tanks will give you additional time that you can use them and you won’t have to refuel them very often. The second thing that you should consider when you are looking for the perfect windproof lighter is what kind of protection does it have around the fuel tank. There are some cheap lighters that don`t offer any protection to the tank, which in the long run can present a danger to the user. Yes, it could only break down and no harm was done. But what if the fuel tank breaks down and the fuel catches on fire? Then we have a serious problem. When you are looking for the windproof lighter be sure that you are looking for the one that has a good armor around the tank. Steel armor or rubberized armor are the best options and they will protect the tank of the lighter the most. The third thing that you need to consider if you are opting for the windproof lighter is the quality of the build. You need to look into the lighter, you need to find out from which materials lighter is built. If the lighter is made out of cheap metal and plastic then you should run away from it. But for the one made out of good quality, stainless steel then you have a real deal on your hand. You should also look for pleasing design which works for you. Also, you need to look for a windproof lighter that is easily refillable with the fuel. And if you are going to buy a lighter, make sure that it is waterproof, that is one of the best signs that show you that you have a quality product in your hands. What are the windproof lighters on the market? Now comes the question, which are the windproof lighters on the market? Well, let’s find out. Ralix Electronic Lighter is another great electric lighter. It is definitely one of the best electric lighters on the market. Ralix Electronic Lighter features beautiful sleek design. Nice black color only gives you that premium feel that every person should appreciate. Ralix Electronic Lighter with one charge can create 300 sparks, which means that you won`t have to worry and recharge the lighter that often. It is, of course, windproof, you will be able to use it in the windiest conditions, which is the whole point of this type of lighters. 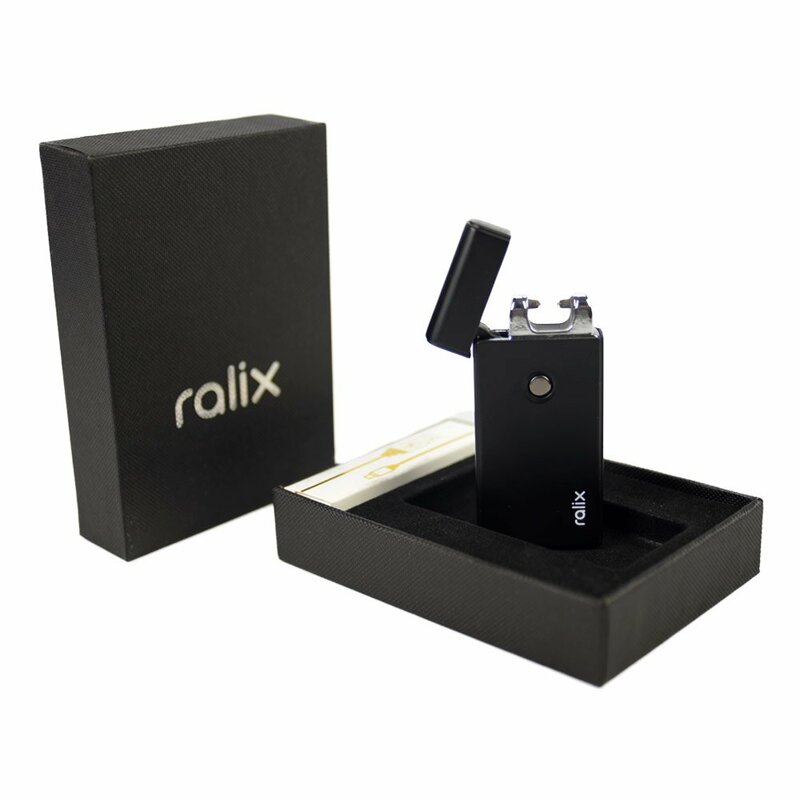 Ralix Electronic Lighter is also very easy to use, just open the lid and press the button and you will get a spark. Ralix Electronic Lighter is perfect for anyone who wants a windproof lighter but which does not use any type of flammable fuel as a source of power. 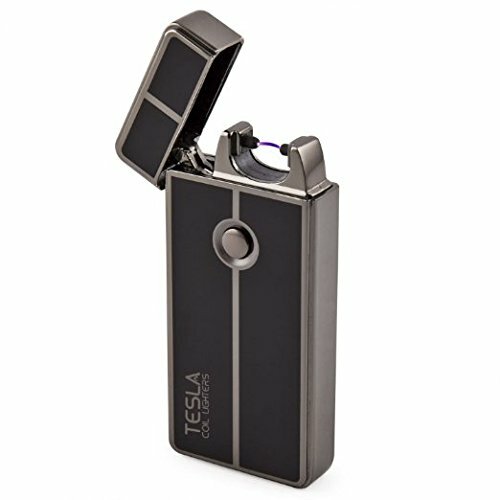 Tesla Coil Lighters™ USB Rechargeable Windproof Arc Lighter is electric windproof lighter that looks just amazing. The quality of materials used on this lighter is just perfect. And the design…there is only one word for it, and that is perfection. As we said at the start, the build quality of the lighter is just amazing, it is made out of the quality shiny steel which gives it that premium look. Jet Flame Torch Lighter Windproof Refillable Cigarette Lighter (Jumbo) is definitely one of the best windproof gas lighters on the market. The build quality is just top notch for the price. This lighter has one of the strongest flames of all windproof lighters. It is like a miniaturized torch. Jet Flame Torch Lighter Windproof Refillable Cigarette Lighter (Jumbo) is the perfect choice for people who are looking for sturdy, functional windproof lighter that is perfect for camping or survival situations. All in all, it is a great item to consider. Zippo is the most popular company in the whole world which makes one of the windproof lighters. The Zippo company always makes the lighters that are top quality and made out of top quality materials. And every single Zippo will satisfy you. 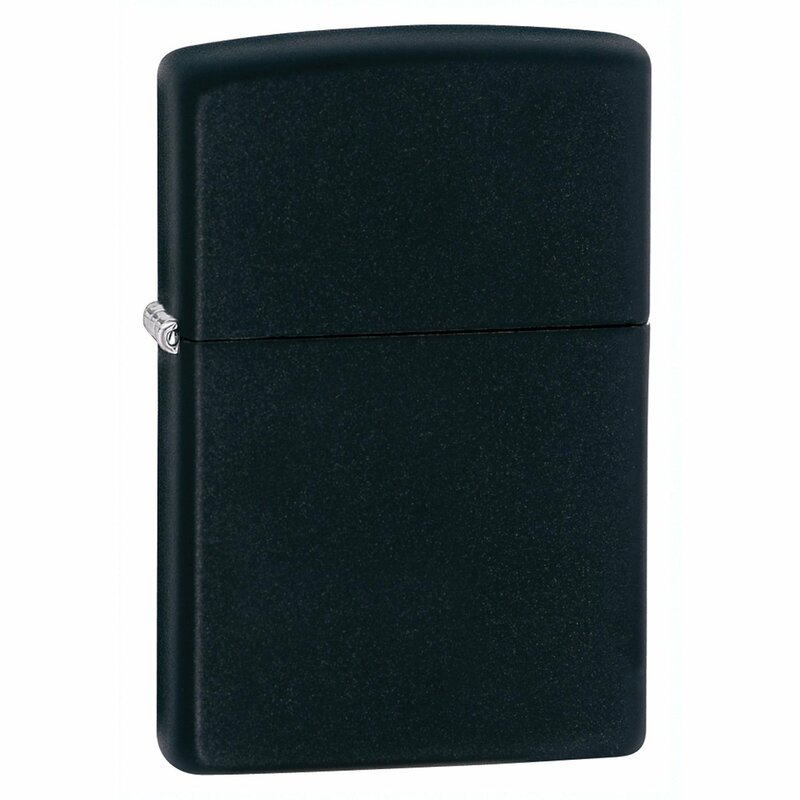 But if you are looking for a more affordable Zippo lighter that is top quality, then you should take Zippo Matte lighter into consideration. There are many different color variations of Zippo matte lighters. On the whole, Zippo matte lighters are the perfect choice for people who love sleek, well made and beautiful windproof lighter that will catch eyes of the people around you. 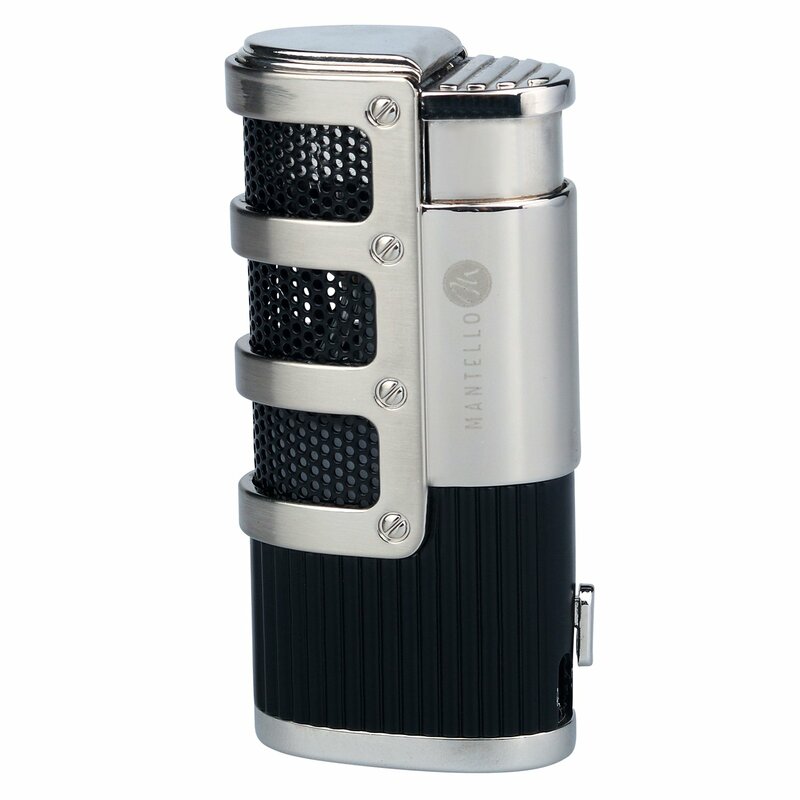 Mantello Catador Triple Jet Flame Butane Cigarette Torch Lighter with Cigar Punch Cutter is windproof oil lighter that definitely has a gentleman’s look. It is made out of top-notch materials, mostly out of metal. Yes, at first looks a little bit like a standard lighter, but when you take it in your hand then you will realize how beautiful, sleek and sturdy this lighter is. And the best of all Mantello Catador Triple Jet Flame Butane Cigarette Torch Lighter with Cigar Punch Cutter is very affordable and it comes with a cigar cutter, this is a truly perfect gentlemen’s choice. How to refill windproof lighter? Like every lighter, windproof lighters also need to be refueled from time to time and that is a pretty simple task. When it comes to the electric windproof lighters only thing that you need to do to refuel them is to connect it with USB cable to your PC or some USB charger and your lighter will charge up completely. When it comes to the oil windproof lighters you need to buy specific fuel for them, kerosine, zippo fluid and etc. You need to remove the lighter from the metal armor, raise the protective surface and then you can pour the fuel inside the lighter, simple as that. When it comes to gas windproof lighters you need to buy the specific gas. Every gas lighter has a specific nub in which you need to insert the special gas tank, push it down and the fuel will enter the lighter. How to tell when is your lighter out of fuel? How can you tell when is your lighter out of fuel? Well, that is simple, when your lighter is almost out of fuel it will be harder to ignite the flame, you will need to strike it numerous times before it catches the flame. Same goes for the electric windproof lighters. Why your windproof won`t light up and how to fix it? In many cases, the reason why your windproof lighter won`t start is that it is out of fuel. The only thing that you need to do is to refuel it. But what if your lighter won`t start even after refueling? Well, then the problem is probably connected to the flint. The flint can deplete very fast if you use your lighter very often. In most cases that is a pretty simple fix and it won`t take a lot of your time. Also, the wick can also be pretty burned down after very extensive use, which means that you would need to replace the fuel compartment inside the lighter and wick with it. When it comes to Electric lighters there is not much you can do to fix it. The best thing that you can do is to buy a new one. Pretty much same goes for the gas windproof lighters in most cases. So, are the windproof lighters best type of lighters that you can buy? Of course! No other type of lighters come even close to them. They are a just higher tear of quality, made with precision and care and with top notch material. Most of them will last you for your whole lifetime. They are also in most cases a status symbol. A symbol that shows that you care about yourself and what people think about you. But they are not a just novelty item, they are the item that literally could save your life. If you ever get lost in the wilderness one of the most important things that you need to do is to find shelter and make fire. And that is where windproof lighters come in action. You will be able to start a fire with ease without any problem, and potentially save your own life. So, should you buy yourself a windproof lighter? Of course!